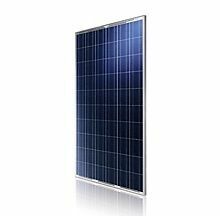 Polycrystalline panel from BYD (Build Your Dreams) makes the implementation of green energy dream easier, both in gridd connected systems in island solutions. BYD is one of the fastest growing companies for green technologies. Based on advanced decisions, BYD Solar aims at Grid Parity, which can drive mass marketadoptionof renewable energy.The main advantages of modules are high efficiency - 15.06% and robust modular framework. The manufacturer guarantees 90% of rated power after 10 years and 80% after 25 years. The product warranty is 10 years. More about Phtovoltaic module BYD 245P6-30.